After waiting it out after previously being snubbed by the voters, former 49’ers wide out Terrell Owens finally earned football’s highest honor on Saturday, getting into the Hall of Fame on his third try. Owens, who is top 10 all time in receptions (1,078), receiving yards (15,934) and receiving touchdowns (153), was kept out of the Hall of Fame for his first two years of eligibility for reasons that go beyond the football field. It was almost explicitly as a result of Owens’s behavior outside the lines. Owens was a notoriously huge pain in the rear as a teammate and for the media to cover. Let’s be real here — Owens really liked to hog the spotlight, and he was very good at drawing attention to himself, whether it be for crying about “my quarterback” (Tony Romo) or doing sit-ups in his driveway (with the Eagles). Owens almost always had ugly departures from whatever team he was playing for. 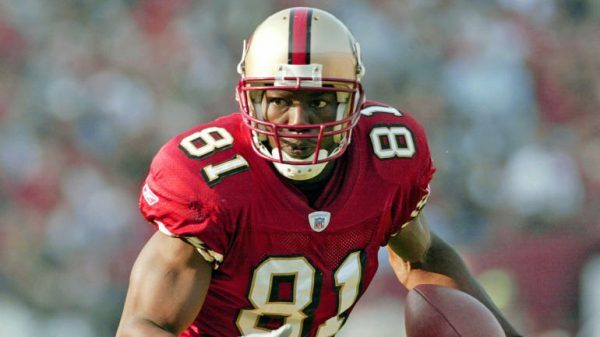 During his eight seasons with the 49’ers, Owens caught 592 passes for 8572 and 81 touchdowns. His personality clashed with just about every team he played on, which is why he ended up playing on five teams in his NFL career. Joining Owens in the class of 2018 are Randy Moss, Brian Dawkins, Brian Urlacher and Ray Lewis, plus senior selections Robert Brazile and Jerry Kramer, and contributor Bobby Beathard. The ceremony for Owens and the class of 2018 will take place on Saturday, August 4th in Canton, Ohio. Petulant Crabtree Burning 49ers’ Bridge? Niners Not Ruling Out the Thought of Bringing Back T.O.? 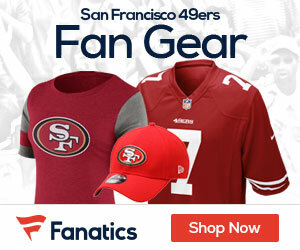 Be the first to comment on "Former 49’ers Receiver Terrell Owens Elected to the Pro Football Hall of Fame"